Gedit by default doesn't contain regular expression search. To get this feature, you should install a plugin. We will use Regular Expression plugin from Ben Fisher. You can download the plugin at regex_replace-gedit3.tar.gz. 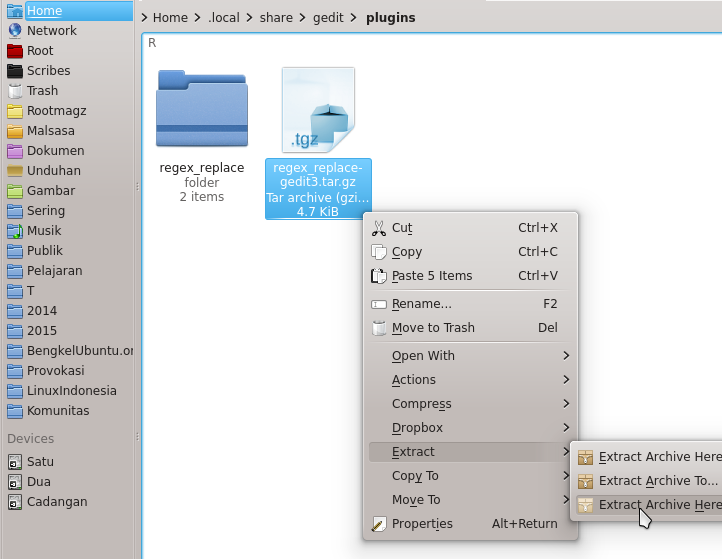 Copy the downloaded plugin file into ~/.local/share/gedit/plugins/ directory. Open Gedit > menu Edit > Preferences > tab Plugins > check on Regex Search and Replace.